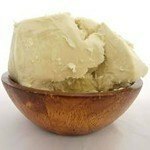 Our bulk refined Shea Butter is great for cosmetics and soaps. After shea butter is extracted from the Shea nut the natural butter is filtered to remove any impurities, resulting in a creamy off white color and an ultra high quality pure product. The refined shea butter also has less odor, making it shea butter of choice for the soap making and personal care industry. This is definitely one of our best sellers. This product comes from Burkina Faso, Africa. Our Virgin Unrefined African Shea Butter is extracted from the Shea nut and left completely unrefined. Because of the lack of refinement, Bulk African Shea Butter has a pale yellowish color and has the typical odor normally associated with Shea Butter. This shea butter comes from Burkina Faso, Africa and is certified organic. At Bulk Apothecary we offer high-quality Shea Butter at amazing prices. We have always been able to offer incredible prices on our products we sell in our store because we sell our own, quality products directly to the customer. At Bulk Apothecary we offer a couple different kinds of Shea Butter to fit your exact needs. Refined Shea Butter – Our bulk refined Shea Butter is most often used for cosmetics and soaps. The process to refine the butter involves extracting it from the Shea nut and filtering out any of the impurities. This results in a creamy off-white color and an extremely pure product. There is also less of an odor, which is why refined butter is the normal choice for the soap making and personal care industry. 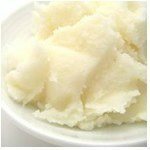 Unrefined Shea Butter – We also sell butter that is left unrefined. This gives it a pale yellowish color and has the typical odor normally associated with Shea Butter. Please note: Our 55 lb blocks of unrefined shea butter are certified organic. Our smaller sizes are not yet certified organic. We are in the process of having them certified. Get your aromatherapy oils and other soap making supplies today direct from one of the largest suppliers online. Looking for citric acid where to buy or any other great raw ingredients, we have you covered. Also, don't forget to check out our blog where we have all sorts of information on the peppermint oil and other essential oils, recipes, tips on soap making and starting a business, plus so much more. This was my second purchase, I will be ordering a larger size next, because it does appear to run out of stock quickly. I whipped some up and added various fragrance oils, and used as gifts. Customer service is excellent. I will definitely be checking BA for future purchases before anyone else. The prices seem to be better than other carriers! The virgin unrefined organic Shea has been my go-to for years. I love the consistency and it is a joy to work with. It is occasionally out of stock, and in a pinch I have tried Shea from other suppliers but I always come back here. I love this butter and it is priced right. I ordered 3 tubs of the 14oz refined and tried to make my whipped body butter, but the product is so grainy. I wasn't expecting that it would be that grainy. I've had to melt down the shea, but I can't get it to whip once it has been melted. I'm a little disappointed by that. soft & creamy, this is one of the best refined Shea butter purchases i've made so far definitely getting more of this & the price ain't bad also. I love this Shea Butter. This is the softest shea butter! It feels so good on the skin and is the perfect ingredient to my whipped body butters! It has improved my formula tremendously! I highly recommend if you’re making homemade beauty products! I always order the refined she butter because 1. It has No smell; 2. It's creamy texture. However, this time the texture was different. It is no as creamy and soft as it used to be. It has the same sandy roughly texture like the unrefined one. It does still moisturize excellentlly. I just love it in the winter. I hope it go back to its creamtexture. I wanted to order more but after i received this i changed my mind and thought to wait. I purchased some Shea butter, and made some whipped Shea butter. I added some of your other products in it,and I love it. The butter is so creamy and smooth on my skin. I will be purchasing more.